Having known Eric since high school, I was delighted to capture his wedding day with his stunning bride, Christina. Everything about this wedding day was nothing short of perfect from the beautiful sunset on the beach to the most adorable flower girl ever, Kirra (her sweet pup). 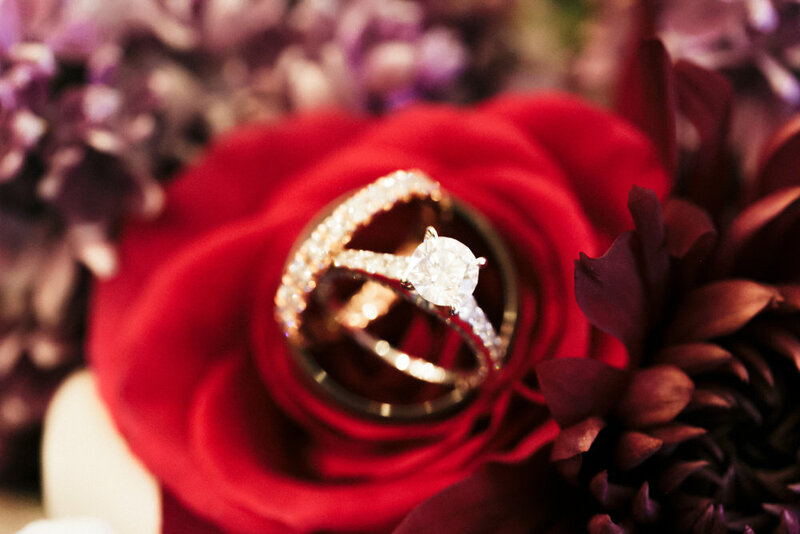 I am in love with this sweet, romantic wedding and was thrilled that they has us do their wedding video as well (above). Be sure to check out the bride’s purse, it was made out of her mother’s wedding dress, something old AND something new! Gorgeous couple, beautiful beach, and amazing light–couldn’t have made for a better engagement session with Jenna & Matt! So excited that we are about a month out from the wedding! One of my favorite things about weddings is the different culture each one brings. This was my first time witnessing the jumping of the broom, which is an old tradition among African-American's. Once wedded, the couple must jump over the broom together to signify the sweeping away of the old to making way for a new beginning together. What an beautiful way to symbolize new beginnings. Ranyne and Daniel are one of the sweetest couples I have ever met. I wish you two well as you jump into this new adventure! Only a few days until these two become a family! Check out this Grecian Goddess and her prince all around Palm Beach! Totally obsessed! Heart-warming does not even begin to describe the phenomena that occurred at Ashley and Zack's wedding. If i wasn't already teary-eyed when the bride's dad first saw her, then I certainly was after the ceremony. During the ceremony, they released butterflies in remembrance of Ashley's grandmothers recent passing, and soon after we began to take the family photos. Once we started, a butterfly from the releasing landed on the brides bouquet and decided to stick around until the very last shot. Grandma was undoubtedly there that day to send her best wishes. Last year I photographed Joe and Ashley's wedding and I was thrilled when Anthony and Stacy got engaged and asked me to photograph their wedding too. It was a beautiful warm day in Palm Beach, Florida, where I was fortunate enough to capture this picture-perfect couple. Their love shined throughout the entire shoot. Can't wait to share images of the wedding! It was such an honor to be the one capturing their day with my two loves-photography and film! Weather was perfect and the light was gorgeous, and our hearts were constantly full from being surrounded by people we love! This wedding was also special to me because I have been friends with Ashley for over 18 years! A few years ago while sipping beer on the beach, Ashley told me she met this great guy named Joe and I was going to photograph the wedding, my jaw dropped. Bold statement but she was right! Joe is an awesome guy and I could not be more happy for my girl! Enjoy some of my favorite photos and film trailer from their beautiful day!!! Congratulations Joe and Ashley! I am so very happy for you two! Groomsmen: Mens Wearhouse rented Vera wang tuxedo. Press play to watch Ariana and Sean's Celebrations by the Bay Wedding preview! We met in college back in 2010. 6 years later, we are happily engaged and living in beautiful apartment in Annapolis, MD. Sean proposed on March 27th, 2015. He told me that he wanted to go to Ocean City, MD for the weekend. On the way, we stopped for dinner in Kent Island, and continued to OCMD. Sean's phone went off on the way there and I reached for it to help read it while he was driving, he grabbed it from me (since he thought someone might be texting him about the proposal), I thought that was weird. Once we arrived at the Hilton (I thought that was weird too - we usually stay in crappy motels during the summer), we went up to our room. Sean asked if I wanted to go for a walk on the beach, which didn't sound inviting to me since it was 10:30 PM and cold and windy outside, so I declined. Then he told me to stop being a pansy, I'm no pansy, so I agreed. We walked outside of our room and Sean said he had to go grab his wallet (weird). Of course I questioned this... "why do you need your wallet for a walk on the beach at 10:30 PM at night?"... "Someone might be selling flowers on the beach" (good answer, very believable). So I said I would walk in and grab my phone too (little did I know I just ruined his plans to put the warm bottle of champagne in the fridge). We then walked outside onto the beach and I asked if we could go back inside - too cold. While walking back inside, Sean turned to me and took my hands. He said that the reason he brought me down here was because he wanted to spend his life with me, then he dropped to one knee (this part is a little blurry - I think I blacked out for a while), and asked me to marry him and I said YES. Afterwards, we walked back to our room to enjoy our warm champagne. Happiest moment of my life. Ken and his wife Bethany hold a special place in my heart. A few years ago I photographed there wedding in Downtown Alexandria. It was a huge honor to be asked to photograph for Ken's company - Koncept Design & Build! Ken renovated this space for one of his clients. How cool is this decor too? If you haven't already, check out his site HERE! Bring on the blues! From the various hues for the bridesmaids to the tablescapes and florals, Maggie and Jeffrey's magical Maryland wedding is brimming with beautiful blues and I'm downright smitten. To make the day even more special, the happy couple was married in the same church they met in! When Maggie and Jeffery made their grand entrance into the reception it was like walking into a wonderland of white twinkle lights. It was truly a magical evening with such caring families! Who knew a duck blind could be a cozy spot for an engagement shoot? Loved taking a walk through this "enchanted forest" (aka park) with Lindsey and Dean. We ended the shoot with a beautiful sunset on the Chesapeake Bay! Music makes the people come together... at least for these two! 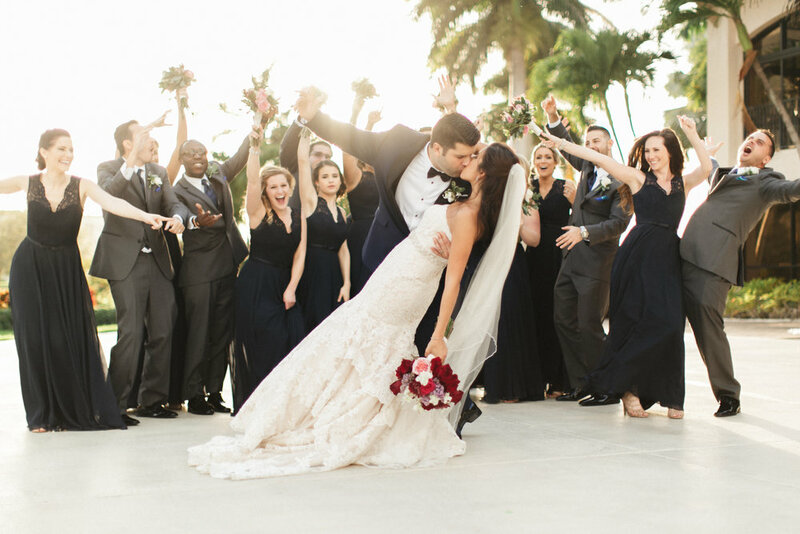 Ashley & Joe met at Tortuga Music Festival and have been loving each other ever since. I'v known Ashley since the 6th grade and two years ago when she told me she met this great guy named Joe and I was going to photograph the wedding, my jaw dropped. Bold statement but she was right! Joe is an awesome guy and I could not be more happy for my girl! These two are something special. This whole day was filled with smiles and happy tears, I was so lucky to be a small part of it. 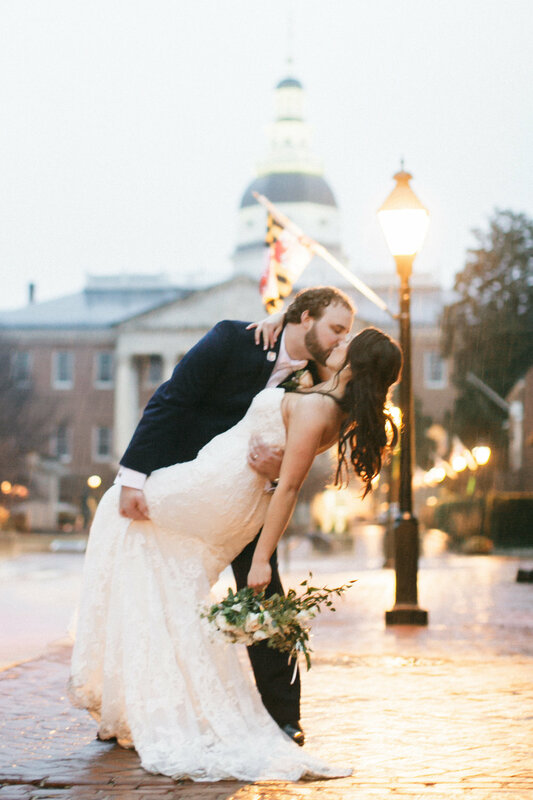 It is not everyday where I get to photograph steamy "Notebook" style kiss in the rain. Carrie and Bobby, thank you for not only entrusting me to be your wedding photographer but for also braving the cold for these images! Your love for each other is so inspiring, and capturing it was simply the best. I am so incredibly happy for you both!! Absolutely loved working with Nathalie Sader, holistic coach and vegan chef for her website and branding material! If you haven't already seen her gorgeous instagram page be sure to head over for some yummy treats! Hair and Makeup by Jay Ariane. Allow me to introduce this sweet couple, Allyn & Christopher. It literally felt like a fairy tale when Allyn asked me to capture the magic of their destination wedding in Germany! I first met Allyn back in Washington D.C. after she was crowned Miss District of Colombia and I was shooting her for the cover of Annapolis Lifestyle Magazine. 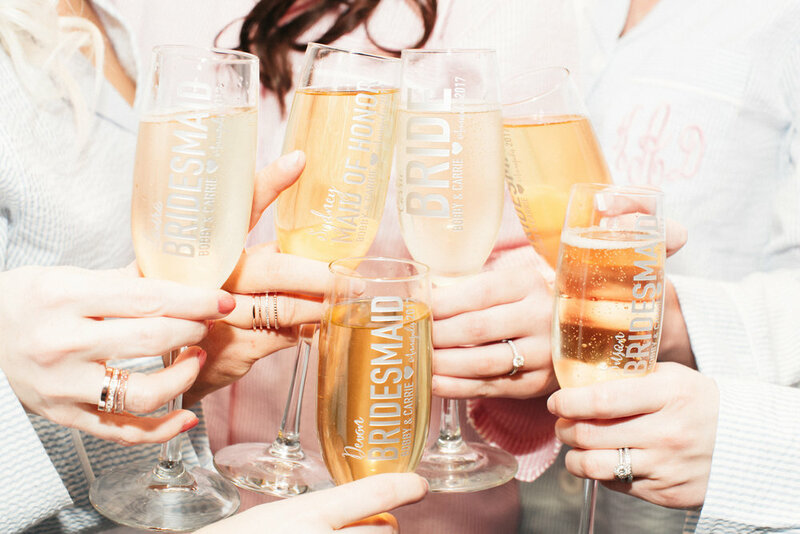 The romantic French chateau theme of their wedding was accented with blush bridesmaids gowns and stunning pink and white flowers that looked over the pond and gardens. Their ceremony was held in the Biergarten, surrounded by friends and family from all over the world. Their vows were spoken under a peony covered wedding arch handmade by Christopher. Allyn looked stunning in a gorgeous one of a kind gown custom made by Cherri Hill! My jaw dropped when I saw event planner, Charlotte Jarrett's workspace! If you think her office is impressive... check out her work on her website HERE! We walked the streets of their neighborhood and we sipped beer at their favorite spot. I mean, every engagement session should end at a pub. Am I right?